Looking for a gated community with quality luxury resort homes in FL? Tuscany Preserve is what you need! Contact us today. Modern, spacious and functional design that incorporates the best of natural Florida living is at the heart of Noah Estates at Tuscany Preserve in beautiful and serene Poinciana, Florida. This exclusive, gated, luxury, resort-style community features a collection of 140 luxury, upgraded, two-story 3 and 5 bedroom townhomes featuring 2 master suites, a spacious loft, and a double car garage. Living just far enough from the hustle and bustle of Orlando, minutes from beautiful Lake Marion in a park like preserve, plenty of space for the whole family, and resort amenities help make a busy life more enjoyable with a large clubhouse, fitness center, hot tub, large resort pool, kids splash pad, basketball and tennis courts and a dog park. It is more than a home, it’s your life. We manage the details so that you can focus on living well! The community is located within a few minutes drive to Lake Marion, a beautiful, tranquil slice of natural Florida where the busy world of traffic, work, and modern life drift away. Whether you enjoy fishing, boating, a book by the lake or sunset and a drink at Frankie’s, it’s the Florida lifestyle that we all dream of. 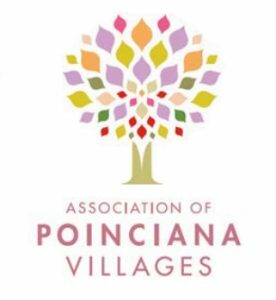 Close by, you can also enjoy the Village 7 Poinciana Community Park complete with a pavilion and several sporting fields including football, basketball, soccer, baseball, cricket and volleyball. We’re under construction. Visit us to learn more about our 3 or 5 bedroom town homes all with double car garages. Clubhouse, Fitness Center, Hot Tub, Pool, Tennis Courts, Basketball Court, Splash Pad and Dog Park. Bright, open spaces accessible to outdoors. Large family areas. Master bedrooms with ensuites and walk-in closets. Large kitchens with 42-inch cabinetry, granite counter and stainless-steel appliances open to dining areas. Dining areas and great rooms designed for large groups that flow into the kitchen and outdoors. Two master suites, each with a private ensuite and walk-in closet plus there is a secondary bath for the other bedrooms.